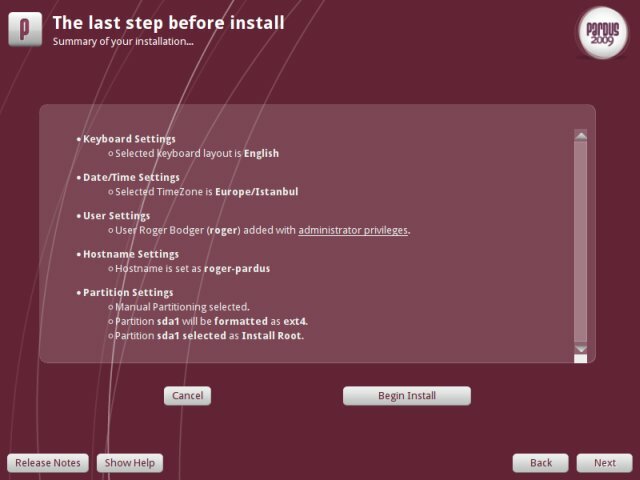 Some time ago, I've received quite a few emails and open suggestions in several threads in a few forums I participate, asking, urging and requesting that I test the Turkish Pardus Linux. Having never used it before, I was intrigued by the popular demand and decided to take Pardus for a spin. 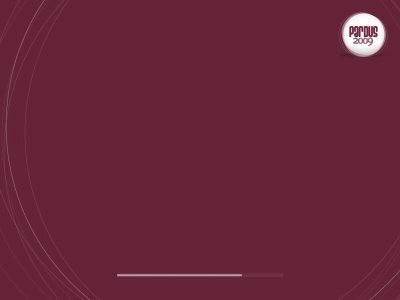 Pardus Linux is a distribution developed by the Turkish National Research Institute of Electronics and Cryptology, and as such, does not instantly fit into the known niches. 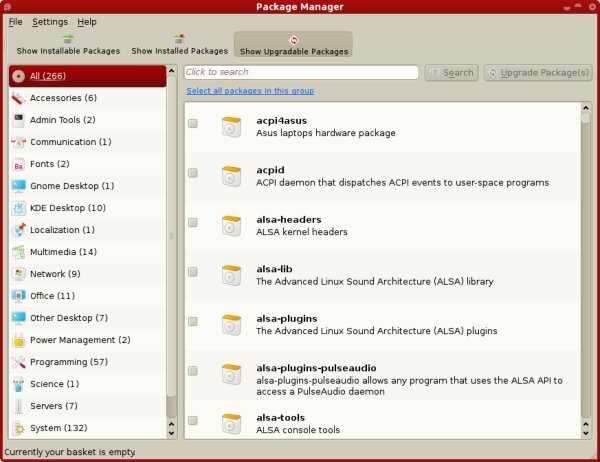 The distribution aims to be usable out of the box for people with little Linux knowledge. Sounds interesting, especially since I was not able to decipher in advance the pros and cons of the distro. For example, I do not know if Pardus is based on any other distribution and whether the multimedia will play without any extra steps. Makes for a delightful late afternoon. 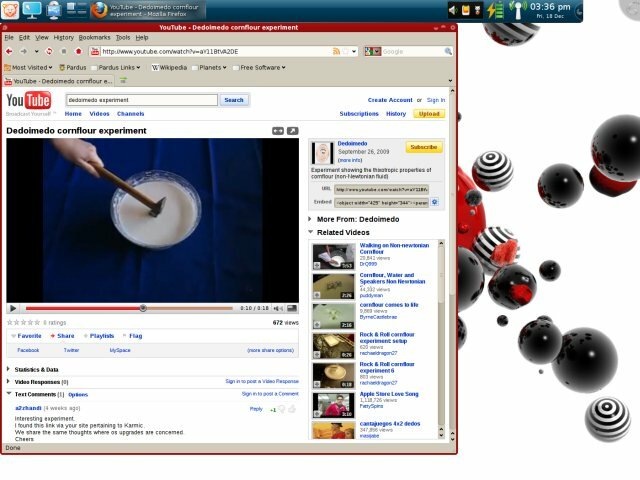 I tested the version 2009, furnished with the KDE desktop. 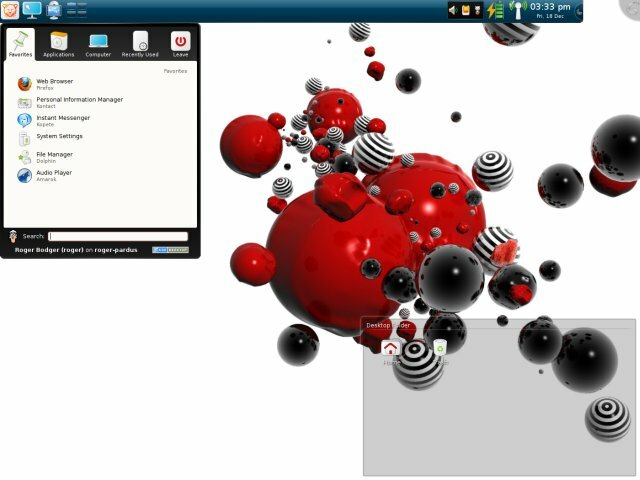 On the menu today, installation, including some rather unique features, desktop usage, popular stuff like , and a few surprises that you don't normally see. There's no live session, so we'll discover goodies and baddies as we go. So let's rock. The moment you boot Pardus, you see something else. First, the visual layout of element is different from what you normally see. The same applies to logos and colors. What more, the GRUB menu is in Turkish by default, so you need to change the language if you don't speak Turkish. Pardus 2009 launches with the Anatolian leopard logo splash, followed by the menu. You will be asked to accept the GPL license, which most distros imply and do not bother to actually ask you to confirm. Next, you have a few standard wizard steps, asking you to setup your language, keyboard, timezone, and optionally check the CD for defects. 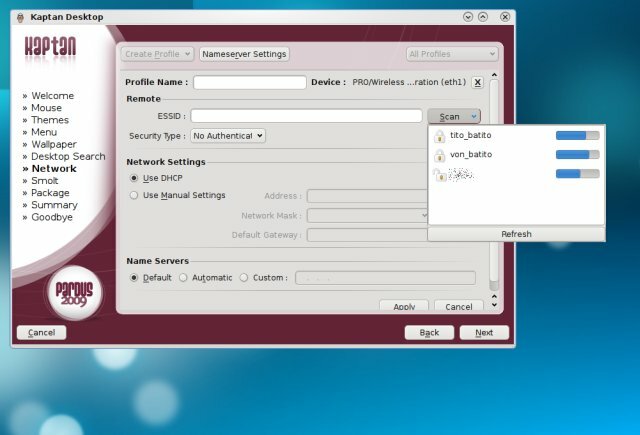 After that, you need to setup your own user and provide the root password. 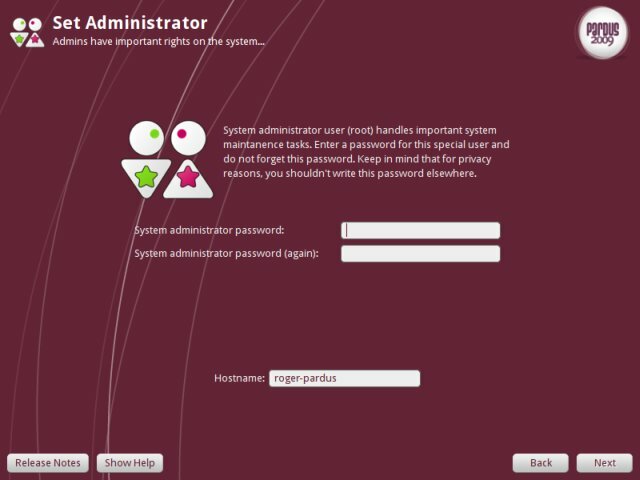 You get set your own user to have administrative privileges (sudo). You can even make the system not ask for passwords. Quite useful for newbies, if less secure by default. The partitioning is fairly simple. Pardus does not use the standard Linux dictionary when referring to the partitions and their names/types. Instead, more generic terms that are suitable for less knowledgeable users are in place. The default filesystem is Ext4. 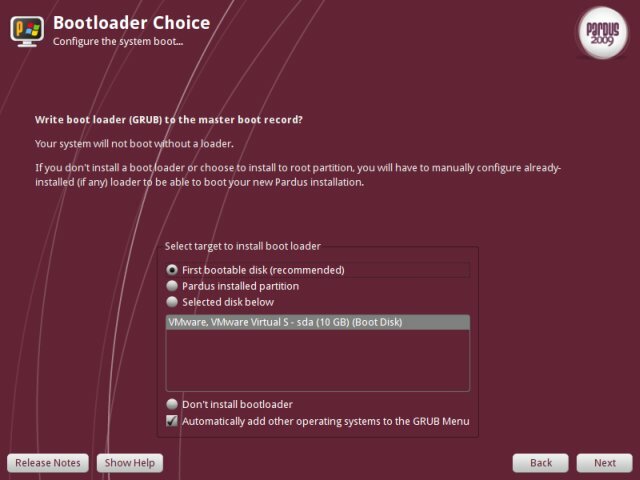 For example, instead of /root and /home, Pardus uses System Files and User Files, and even optionally recommends Storage Area, which would be a data partition. Very useful and unique, I must say. A definitely new, healthy approach. On a side note, I am showing you screenshots from the installation in the virtual machine, but I've also installed Pardus on my T42 laptop, so we'll see more, exciting images later on. After you complete the partitioning, you will have to setup the bootloader. You also have the option to automatically add other, existing operating systems to the menu, saving you the hassle and trouble afterwards, especially if you're not really sure how to work with GRUB bootloader and edit its menu. Again, less skilled users are given a little more understanding what happens with this mysterious thing called GRUB than most distros offer. 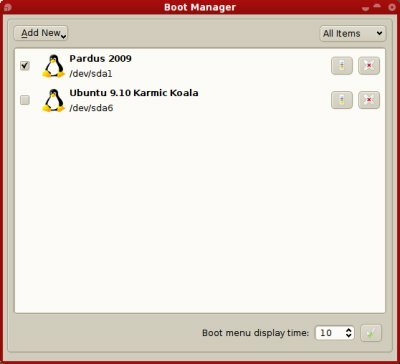 On T42, Pardus will dual-boot with Ubuntu Karmic, so it will be interesting to see how the two manage along. 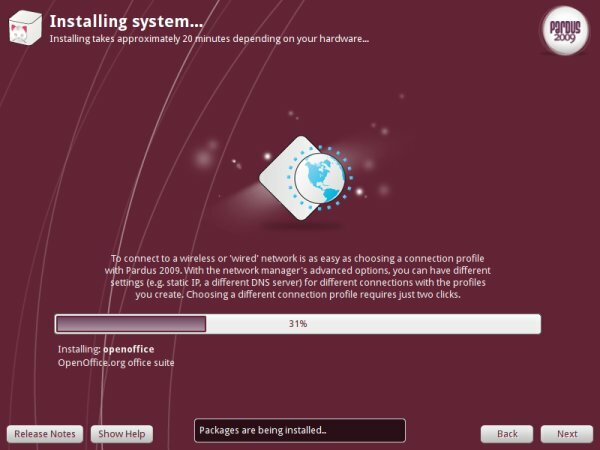 As you probably know, Ubuntu 9.10 uses GRUB 2.
Review the options and install. I considered calling my user Arif, as the main character in the fantastic sci-fi movie G.O.R.A., but I decided to stay with Roger Bodger. The installation now begins. It should take about 15-20 min to complete. The installer actually notifies you about this, not something you often see. And you have a decent slideshow to walk you through the most important distro features. Into the desktop - and what a desktop! Pardus did not detect the Karmic on /dev/sda6, but no matter, we'll configure that one later. 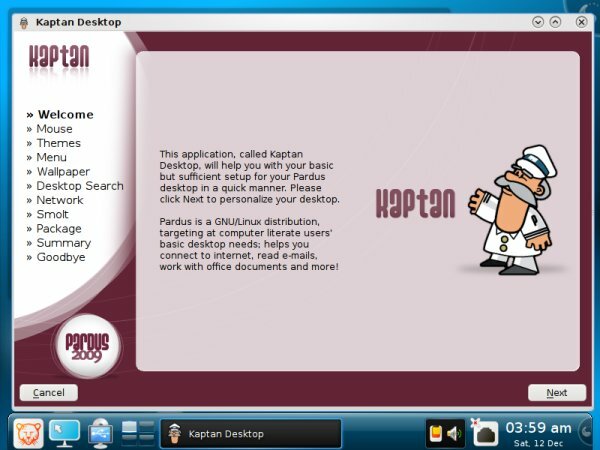 The first thing you'll see is Kaptan, a wizard that will let you customize your desktop before you start using it. Very unique, very simple and very powerful. I have not yet encountered a distro featuring such a utility. 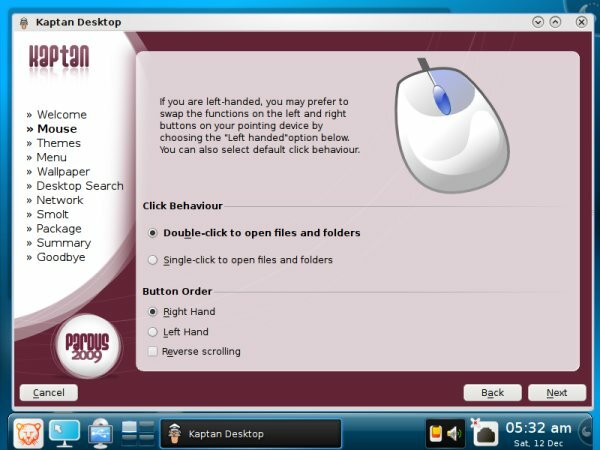 Kaptan lets you configure every aspect of your desktop, including mouse behavior, desktop search, Wireless connection, updates, the default theme, the positioning of the panel and the layout of the K menu. You have the option to use classic K menu a la KDE3 style, use Kicker as the KDE4 default or even go for an upgraded Lancelot. Here's the Wireless setup, simply great. And thus, instead of fiddling with the desktop settings, wallpapers, themes, fonts, setting up the Wireless and whatnot, I had everything ready and dandy in five minutes, without leaving a single, simple configuration screen. One word: brilliant. So far, everything looked great. The installation was simple and unique. The desktop setup was simple and unique, plus it looked really great. Now, let's spice the things some. What can I say? First, checking multimedia support on Pardus required special attention. One of the reasons being, you don't test Windows video with just any movie. You use G.O.R.A! It's a tremendous Turkish sci-fi movie. Elegant, stylish, great effect, superb humor. Now, the screenshot utility would not capture the video, but I had to, so I used a digital camera to pixilize the moment into the annal of history. And yes, it worked, out of the box. Music-wise, I did not know what to test, so I went for Shock the Monkey. What more, in Pardus, Amarok ships with the Lyrics plugin, so you get the great songs and the lyrics. Pardus comes with a rich, varied repertoire. Really a treat. You really have a lot to work with. It's a treat and marvel, all packed nicely into a single CD. You have the excellent GwenView and there's Marble too,a phenomenal geographical education tool! 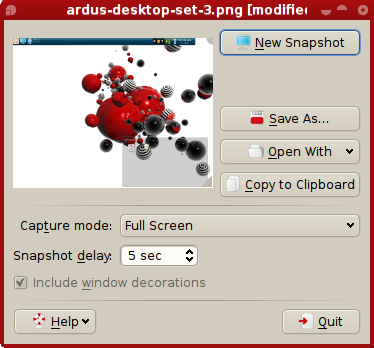 OpenOffice, Amarok, Kopete, GIMP, even Xgnokii, a cellphone sync tool. 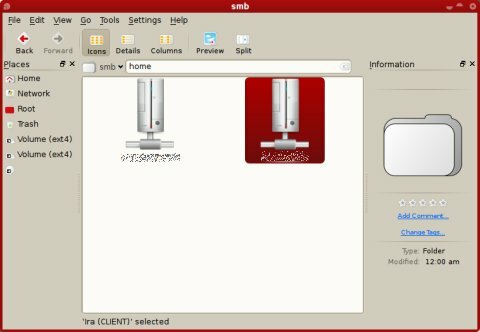 You also get a lot of small, useful programs like. There's also a bunch of BitTorrent clients, a dial-up tool, KTimer, Akregator, and many others. Let's not forget Firefox, of course. By the way, the presence of Marble makes me suspect Pardus is SUSE-based, which would explain the attention to details, the polish, the stability, plus the unique Turkish touch that makes the things all the more interesting. Again, a unique tool you've not seen around. It's rather fast and elegant. While it does not seem as fully featured as, say Synaptic, it's adequate for the average user, with just the right amount of details. PiSi uses the delta downloads to reduce the size of the updates, making it friendly with people with dial-up. Once again, this feels SUSE. A few more internal details I spotted also point in this direction. I could be very wrong, though. A rather long subtitle, but nothing to worry about. Pardus has a decent performance. Even on the old T42, KDE4 churned well, with no lag on application launch even with many programs open. The responsiveness was good, the memory footprint reasonable. Quite pleasing, considering the age of the test machine and the relative heavy weight of the KDE4 desktop. Laptop modes also worked great, with the system suspending and hibernating on and off without problems and issues. Well, Pardus suffered from only one issue. When I tried to launch the Google Gadgets, the utility exited with some strange error about js-script-runtime. Oh, there were no KDE4-related crashes, my first! Someone in Turkeys has just owned a beer. Great job, the first distro to manage to keep a perfectly stable KDE4 session. Kaptan is not your only friend. The entire distro is geared toward being helpful toward common, less skilled users. 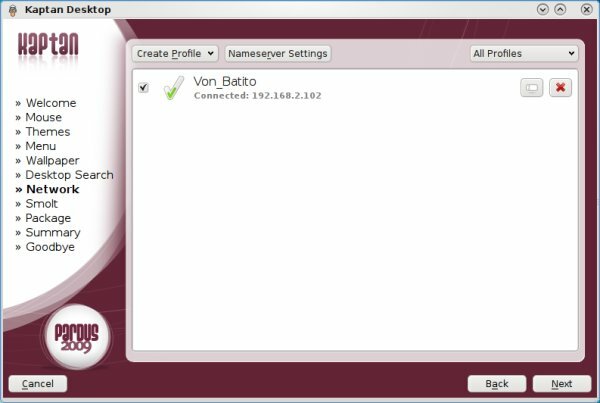 For example, you get the Migration tool that lets you import Windows user accounts. And there's the GUI tool for editing GRUB menu. 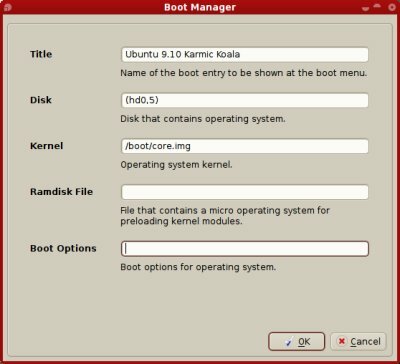 Here's an example, where I'm adding the installed Karmic system in order to create a dual boot configuration. This was one thing that did not work. Pardus refused to work with a proxy. Really a shame, otherwise, it would have been a flawless execution. 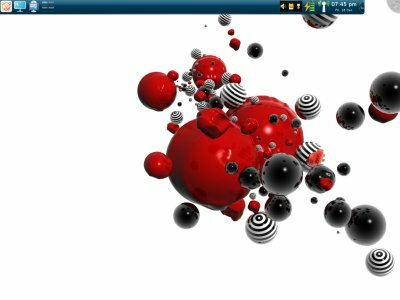 KDE4 in Pardus looks excellent, especially considering the fact you can easily shuffle complete desktops with one mouse click. 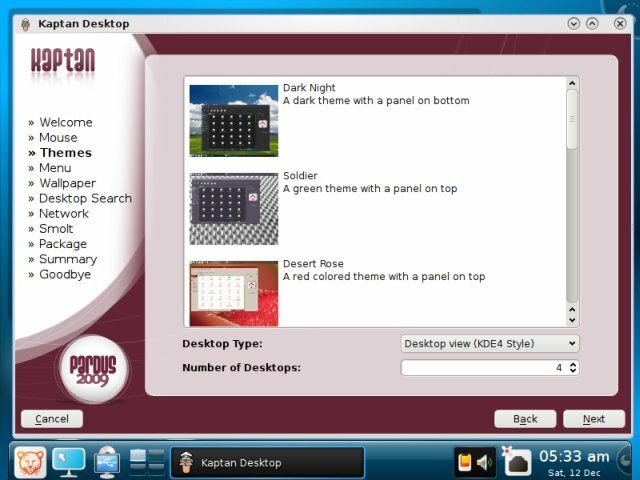 Kaptan will do that for you, changing the entire palette of colors and styles easily, without any special manual intervention. And as always, a pleasing eye-candy trick like the dynamically created folder preview thumb teaser icon is great to see. 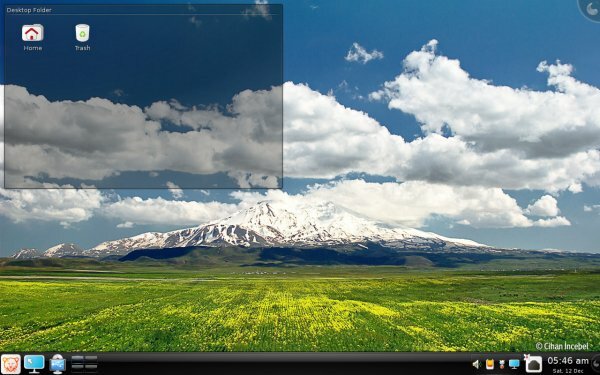 Pardus is a really nice distro. I'm surprised it does not have a bigger user base. But it kind of figures out. Few people have heard of Pardus or had the chance to try it and find out just how great it is, myself included. But now that I've been exposed to its goodies, it's time to spread the word. 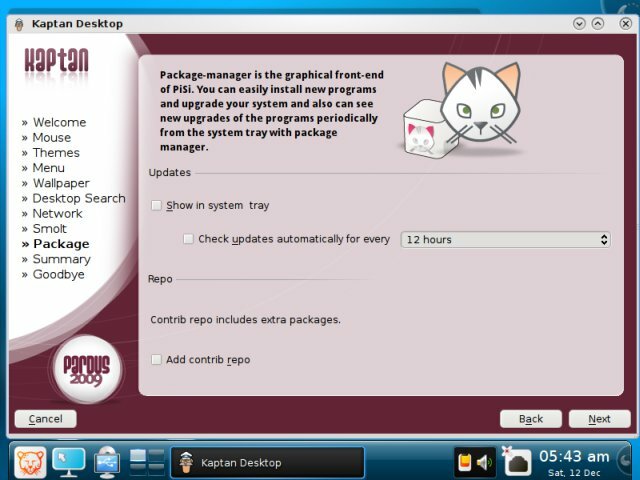 Pardus wins you over by many great features, starting with a very soft, pleasant installation, followed by a smooth, streamlined desktop setup. Then, you get lots of great programs, cross-platform productivity out of the box, great looks, good performance and solid stability, and a whole lot of tiny details that you don't normally encounter. Pardus is truly a unique, refreshing change from the daily routine. The only bad thing I could find was proxy support and nothing else. It behaved phenomenally. Well, I am genuinely pleased. I warmly recommend you try Pardus and see for yourself. It's a small distro, so you might not be tempted. But don't let this distract you. In the worst case, you won't be won over and you won't be using it, but I doubt that. 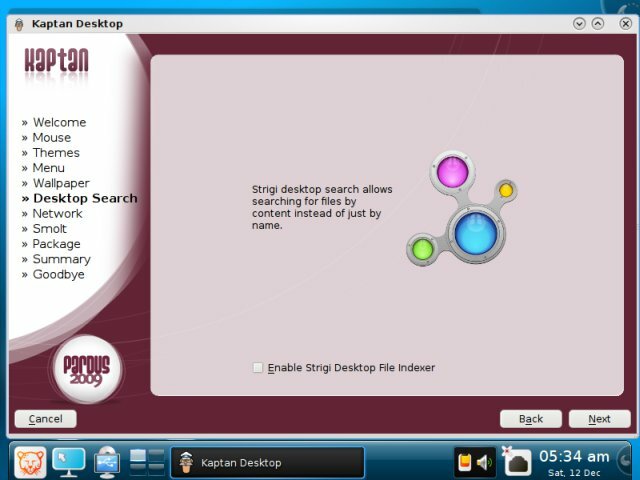 If you're a home user in search after a decent distribution that offers everything, you're in no mood for command line hacks and you just want to enjoy your desktop out of box, browse, chat with friends or listen to music, Pardus is a great choice. This Turkish distro is a very smart solution. The best thing you can do is help it grow bigger and gain more popularity. Sometimes, all it takes for a talent to break through is the critical mass of believers. Currently, Pardus is ranked #37 on DistroWatch and it definitely deserves better than that. Speaking of DistroWatch, you may want to read the review thither. Like most reviews of Pardus 2009, it speaks highly of the distribution. Many good points and some small problematic details I've not observed, definitely worth checking out. Thank you all who suggested Pardus. It's really great!